After this quick tour of the Cape itself, I just enjoyed flying north, close to Table Mountain and Cape Town. I landed at Morningstar Airfield for a quick break and to adjust the timing – my tribute to Gösta Andrée was to land at Stellenbosch at precisely the same time he did back in 1929: 15.10. Simply put, what a relief to reach the goal and what a welcome! Almost indescribable. It was very emotional to meet my family…I have missed my children and my wife Lena so very much! Many others were there to welcome me as well. 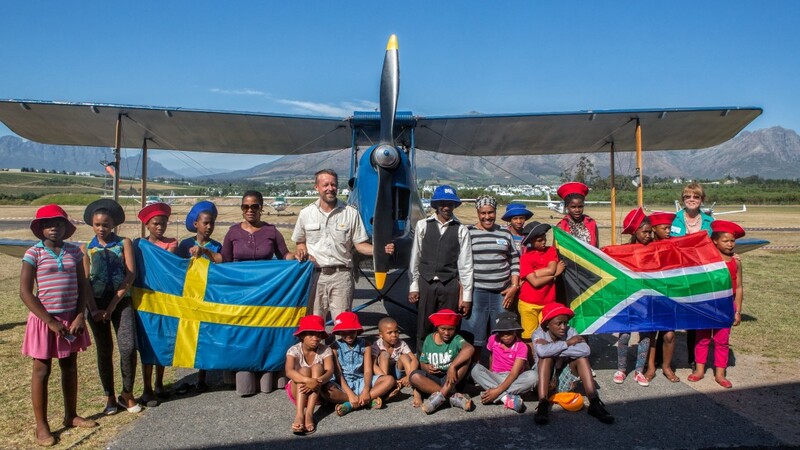 Stellenbosch Aeroclub arranged a truly wonderful event: a group of children from Red Hill were waiting to greet me. I informed them about the donation to the Make Reading Cool project, and enjoyed speaking with the representatives from the Children’s Book Network, the press, and well-wishers on hand to show their support. I gave several interviews, and after several hours, family and friends went to the guesthouse for dinner – and some rest. There’s lots more to tell you all about this day (and lots of people who deserve credit for making Cape to Cape a reality), but tonight I want to savor achieving the goal, and enjoy being reunited with family and friends. Tomorrow I’ll be sure to send a longer update. Stay tuned! Happy Holidays and Lottery winners! An entertaining and inspiring speech about diversity, equality and human rights. 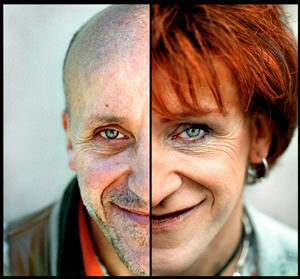 A life changing experience with Claes Schmidt/Sara Lund.